DaaS is not necessarily complicated on the surface. Data management is hard. 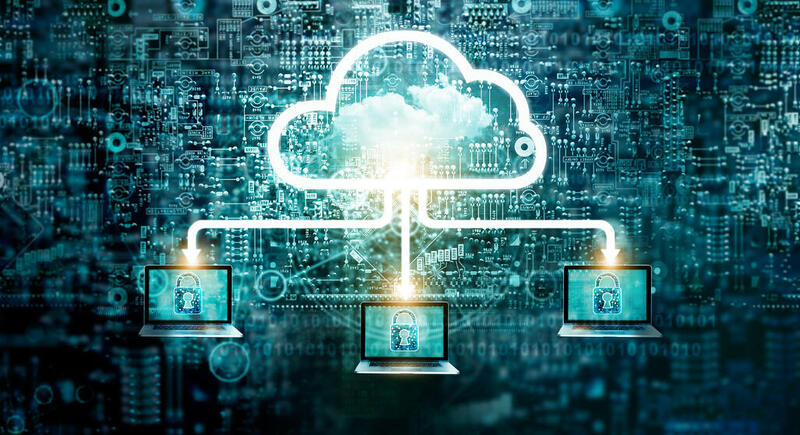 Instead of adopting internal data storage, open to potential security risks and financial burdens, companies are deciding to utilize third-party cloud storage providers. DaaS is software provided on demand, able to fit any company structure, which determines where the data resides. Companies, unwilling or uninterested in storing their own complex data, can take advantage of the cloud capabilities of a third-party. In short, DaaS providers are selling the means to store data securely and safely. DaaS can appear in different applications and in different forms. Two of the most common are Customer Resource Management, CRM, and Enterprise Resource Planning, or ERP. Both of these applications are usually maintained by a third-party source, using cloud technology to track and manage complex data. How Does DaaS Help Small Businesses? Like cloud computing, the benefits of DaaS are immediate and clear. Small businesses can actually benefit immensely from an obvious organization of their data. Firstly, the leading DaaS providers have masterfully integrated their applications into existing businesses. The actual foundation of DaaS is incredibly simple. The data structure isn’t burdened by complex design and some of the biggest businesses in technology have quickly grabbed hold of new DaaS methods. DaaS providers can also improve the look and feel of a business’ interface. If a client receives custom services, they can see their applications and interfaces change for the better. The developers can make adjustments suitable to the business’ needs. This makes their frontend business cleaner and more approachable by customers. DaaS can do a lot to streamline processes and keep business of all sizes more efficient. Their efficiency can help lower prices, provide superior customer service, and improve their product. The less time spent on daily manual data management, the more time opened up to the bigger ideas of business management. Customers can only benefit from the widespread integration of concise and well-organized DaaS applications. Data-as-a-service is a brilliant innovation in cloud computing. But it does seem to come at a cost. Many people are concerned about privacy and security, and for good reason. Microsoft labeled privacy as the top technological issue for 2019, and this isn’t new (1). They said the same thing for 2018. This concern carried their own legal team up to the Supreme Court in specific regards to the Ireland email privacy case which dictated how US companies can retrieve data stored outside the country (2). Multiple data breaches due to unregulated DaaS can erode consumer confidence and hurt the appeal and widespread use of DaaS. The data being collected is usually highly valuable, which will always place it as a target. How DaaS providers will respond will be integral to where DaaS goes and how limited it will be. With all that said, there seems to be little slowing or stopping the rapid progression of DaaS in many key fields and areas. The financial sector may be the most attractive. Market Insights predicted an annual growth rate of 15.73% for DaaS in the financial sector from 2018 to 2023. The team specifically focused on the vital importance of the banking sector, and how leading banks are widely implementing DaaS in their data infrastructure (3). There is also a clear trend toward combining analytics and business intelligence. For example, many businesses, especially in the financial sector, will simply license software and add analytics as needed. Comprehensive DaaS changes the game. Businesses can receive software that integrates analytics and business intelligence features in one distinct license. There would be no need to muddy up multiple licenses and modules together if the DaaS application is able to do it all. Could security and privacy concerns hold DaaS back? Is it enough to justify widespread industry changes? The financial benefits will also play a pivotal role. Most businesses are focused on their ROI, and it is hard to interpret ROI from DaaS. While we typically agree that the cloud is the future of data management, we are still trying to understand what that looks like. The ultimate goal is efficiency. If DaaS can’t retain the highest level of efficiency, businesses simply won’t adopt it as a method.